Lindsey* is the Director of Business Development and Marketing at Lenczner Slaght. She brings to the Firm nearly a decades’ worth of experience working alongside senior partners and law firm management. Lindsey is responsible for the strategic direction and execution of the Firm's business development and marketing initiatives. She collaborates§ with the Firm's lawyers to maintain client focus and increase marketplace awareness to create opportunities ‡ to provide exceptional client service. .
is the Director of Business Development and Marketing at Lenczner Slaght. Lindsey is responsible for the strategic direction and execution of the Firm's business development and marketing initiatives, and collaborates with the Firm's lawyers to maintain a client focus and increase marketplace awareness to create opportunities to provide exceptional client service. Lindsey is the creator and Program Chair of LMANext, a program offered by the Legal Marketing Association (LMA) to advance the next generation of legal marketing professionals. Lindsey is a Director of the LMA Eastern Canada Region. She was the recipient of the 2016 LMA Toronto Chapter Rising Star Award and the 2017 LMA International Rising Star Award. Before joining Lenczner Slaght, Lindsey worked for nearly a decade at one of Canada’s largest law firms, successfully advancing through a variety of business development and marketing roles and gaining the trust of senior partners and law firm management. Canada’s leading litigation firm is delighted to welcome Lindsey Bombardier as the new Director of Marketing and Business Development at Lenczner Slaght. Lindsey Bombardier spoke at the Legal Marketing Association Southwest Region Conference in Scottsdale, AZ. Speaking alongside Morgan McLeod (Cubicle Fugitive), their session highlighted the tools, tactics and information Associates need to build their books of business in the competitive and ever-evolving legal market. The session also reviewed the skills required from legal marketing professionals to deliver and continually enhance client service. Lindsey Bombardier spoke on the Legal Marketing Association & Toronto Association of Law Libraries panel: "Competitive Intelligence and Business Development". The session touched on how law firms are working with CI teams to implement strategies and build relationships that add value and drive business. Lindsey Bombardier spoke at the Legal Marketing Association Annual Conference on "The First Five: Laying the Foundation for Future Leaders" panel. She provided insights on how to begin a career in legal marketing and how to quickly set yourself up for success. 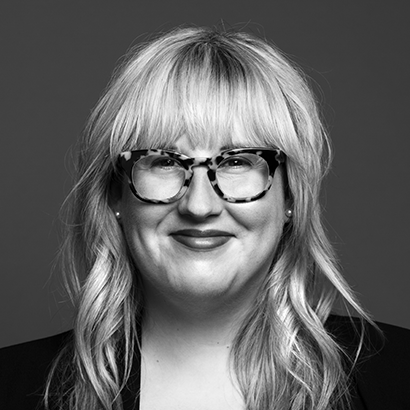 Lindsey Bombardier spoke at the third annual Ryerson Women in Leadership Conference. She discussed various strategies around building and maintaining a successful career. Lindsey Bombardier moderated the inaugural LMANext Lunch and Learn. This session provided an overview on marketing and business development in a law firm and how teams can work effectively with partners.